160 p., 15,7 x 21,2 cm. 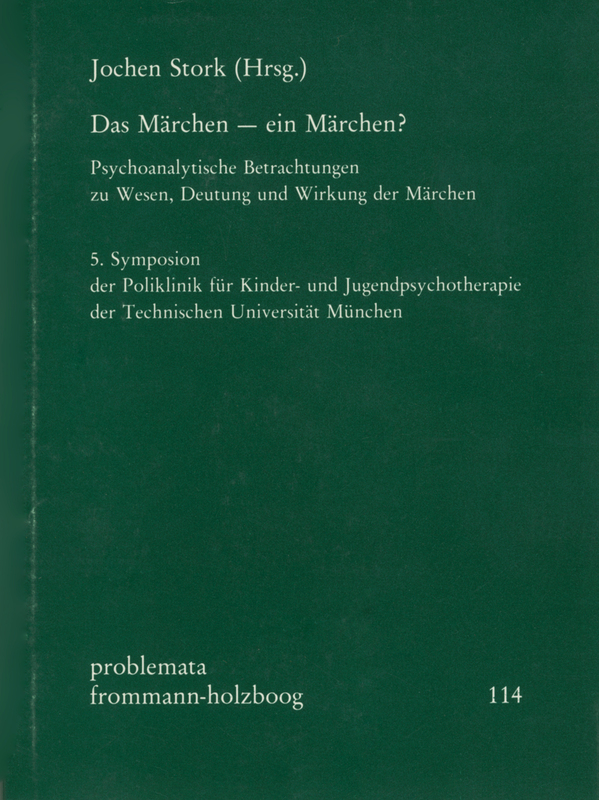 With contributions by Bruno Bettelheim, Peter Dettmering, René Diatkine, Rivka R. Eifermann, Ottokar Graf von Sayn-Wittgenstein and Jochen Stork. We say easily that this or that story is only a fairy tale, that is to say, made-up, perhaps even a lie; without truth, without reality, not to be taken seriously. Alternatively, a happy experience makes us feel transported into a fairy tale or into a dream. Here too, we appease, belittle and prettify things. In fact, everyone knows that viewed closely, a fairy tale deals with serious and often cruel things. Indeed, it is this double meaning which is an essential characteristic of the fairy tale and which it shares with dreams. This book which contains various essays by authors from different cultures, tries to find an answer to the question of the fairy tale and is committed to the psychoanalytic view of the the unconscious connections to be found in these astonishing phenomenon. Jochen Stork: Das Märchen – ein Märchen?